This must-see wonder of nature presents you with amazing deals in accommodation. However, if not booked early, availability can cause trouble. 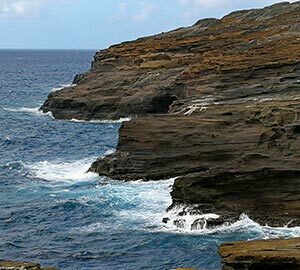 Hanauma Bay Nature Preserve, Honolulu provides you with a wide range of vacation home, cottage rentals, cabin rentals, vacation apartment rentals, vacation condo rentals to pick from. Or, you can directly go to the Hotel website and book your stay. Spending your vacation and learning a little something about the preserves of nature, doesn't seem like such a bad idea, does it? Then book your tickets to Hanauma Bay Nature Preserve, Hawaii. As surreal as the above mentioned vacation destination is, the history, heritage and nature is even more interesting. The origin of this Hanauma Bay is exceptional. Tens of thousands of years ago, due to various volcanic outburst, a crater on the seafloor was formed. Gradually, the ocean waves charged up the circular bay. This top vacation destination has a lot more to offer than just the its beaches. You will witness nature like never before, and that's what makes it one of the best vacation destinations. 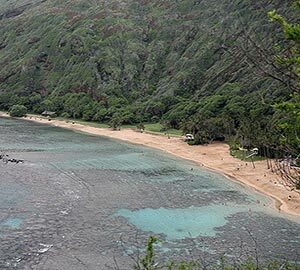 As mentioned earlier, Hanauma Bay Nature Preserve provides you with a plethora of options when it comes down to accommodation. While on your hotel search, you will see various vacation rentals, vacation home rentals, condos and so on. If you are still stuck at planning for your vacation then take a look at the hotels which have been booked for the most number of times over the last couple of months. Hilton Waikiki Beach Hotel, Alohilani Resort Waikiki Beach, Queen Kapiolani Hotel, Waikiki Beachside Hostel, Polynesian Hostel Beach Club, Aston Waikiki, Beach Hotel, Hilton Garden Inn Waikiki Beach, Hyatt Regency Waikiki Beach Resort & Spa. You can search directly on the hotel websites or you can look up various travel websites, compare prices and select what's best for you. The sites are very convenient and work as the perfect hotel finder for you. 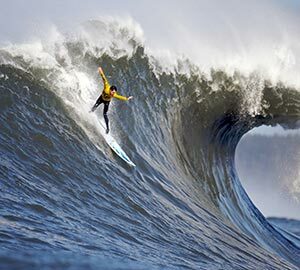 Apart from soaking yourself in the gorgeous marine life of the Hanauma Bay, you can also embark upon a lot of other activities. 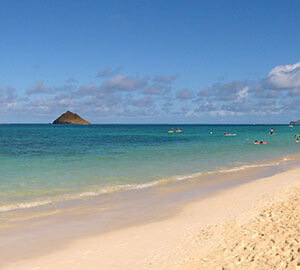 Snorkelfest Snorkel Hanauma Bay, ensures a magnificent experience for you. 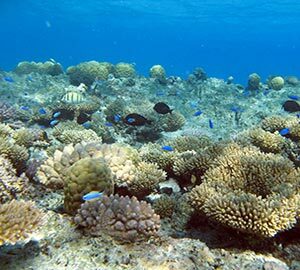 It provides you with all the necessary equipments for snorkeling. You can enjoy hours of swimming in the sea with colourful fishes and a turtle or two. 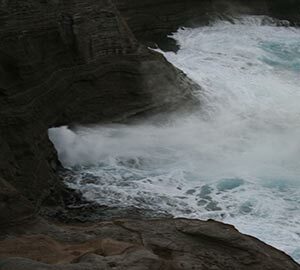 You can sign up for the Hanauma Bay tours. 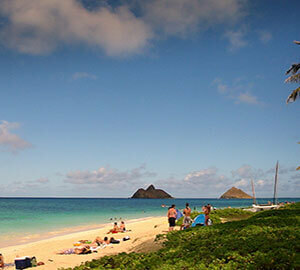 While coming back from swimming or before going for swimming, they can take you for tours to various other places in the Oahu. 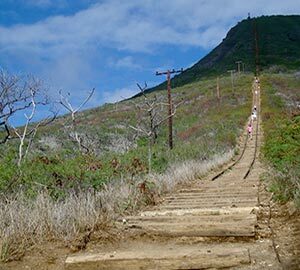 If you want magnificent views of Hanauma Bay and Koko stairs, take a short trip to the Hanauma Bay Trail, but pick you time of visit carefully because the heat can get too much sometimes. 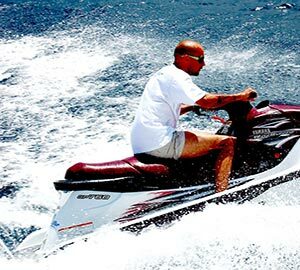 Island water sports is something that you just shouldn't miss out on. Adventure begins right from the moment you get on your 50 foot catamaran boat. It takes you for the ride of you life and the scenic beauty is oh so beautiful! The underwater adventures are also very convenient and for that, you do not need any prior experience. Plan the Reef Pirates Diving, and get a little Aquaman experience of your own (minus the Jason Momoa). It is restricted till 6 divers along with crew for a more personalized experience. It ensures complete safety for everyone. So, if you're hydrophobic you can trust Reef Pirates Diving to give you the best experience. 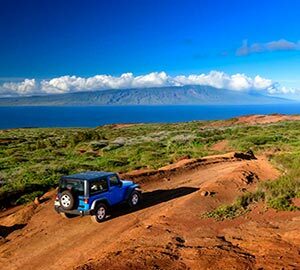 You can also go for the Hawaiian Jeep Tours, Kaimana Tours, Spitting Cave of Portlock, Lanai Lookout, Diamond Head State Monument, Bob's Hawaii adventure and so on. 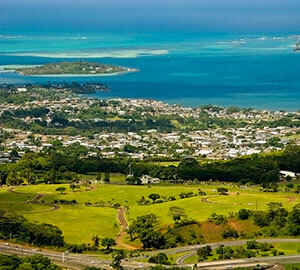 Hanauma offers you a wide variety of activities to keep yourself and your family entertained. You should book your vacation rentals, vacation homes as soon as possible before all the good ones run out. 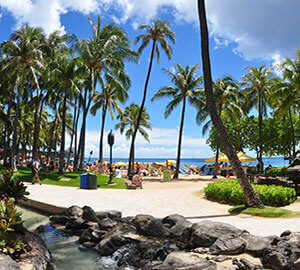 Hanauma Bay Nature Preserve, Oahu showers you with a plethora of festivals all year round. However, the festivals are not area specific as such. 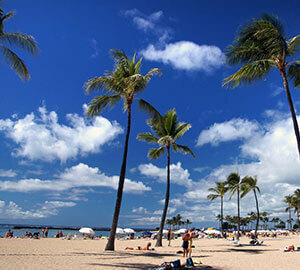 There are a lot of festivals that are celebrated overall, throughout Oahu. 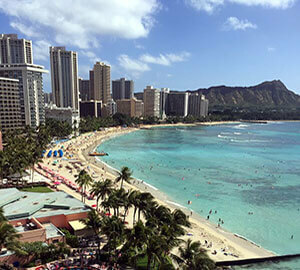 Mele Mei, Honolulu Ekiden & Music Festival, King Kamehameha Celebration Floral Parade, Prince Lot Hula Festival, Ukulele Festival, Duke’s Oceanfest: Waikiki’s Premier Ocean Sports Festival are few of them. Mele Mei festival has been going on for the last 8 years and it celebrates island music. Honolulu Ekiden and Music Festival is another famous music festival of all times. It witnesses the famous celebrities from Japan and all over the world. King Kamehameha Celebration Floral Parade is also a state holiday that celebrates the one true king who united the Hawaiian islands. The floral parade starts from the Iolani Palace and winds its way through town to Queen Kapiolani Park in Waikiki. This year, it was the 41st Prince Lot Hula Festival on the Iolani Palace grounds. A lot of non competitive events take place, so you get to enjoy without worrying much about who beats whom. The Ukulele fest in July is surely a treat for the Ukulele lovers and musicians. They get to taste a wide variety of music that will not only make you tap your feet along with the tune, it will make you want to dance all day long as well. So, here it is. The various festivals of Hanauma Bay. You can pick your time of visit and book your vacation rentals, vacation home rentals and vacation apartment rentals accordingly. Tommy Bahama Restaurant & Bar - Waikiki and so on. So there goes your answer to where to eat. There are lots of vacation rentals that offer you amazing food as well. If you go through the links we provide you with, you will be able to compare the prices of a wide variety of restaurants, all at once and choose your pick. It was a real struggle searching for the nearest airport near Hanauma Bay Nature Preserve because the nearest seems equally far away. 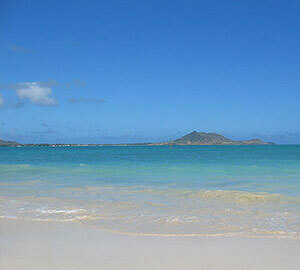 However, if considering to fly to Hanauma Bay Nature Preserve Honolulu Airport is apparently the nearest. The distance between the airport and the preserve is 18 miles. You can book your tickets through any travel agencies or through websites. Websites are very convenient for booking tickets. You can finish your online flight booking through the travel websites or through the airline's website, directly. Air France, Delta, Korean Airlines are few of the airlines that fly in and out of Hanauma Bay Nature Preserve. 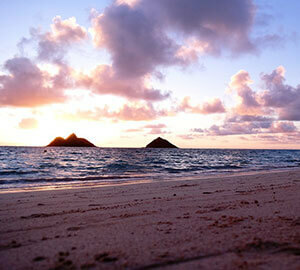 There are about 6 options you can choose from, to reach Hanauma Bay Nature Preserve from Honolulu airport. They are line 19 bus - line 22 bus, taxi, a drive in your own car, town car, shuttle service and lastly, Uber. If you are trusting travel agents for your air ticket booking, then make sure that they are providing you with every available option. If it's an impromptu vacation that you have planned, then flight ticket booking or flight booking can be an issue due to availability.